For a lot of people, 2016 hasn’t exactly gone according to plan. Perhaps that’s what makes the promise of the holiday season this year even more appealing than normal—a chance to finally sit back, decompress and gather our wits before finally jumping feet-first into 2017. And aside from sugary snacks and delicately-wrapped consumer goods, nothing signals winter break quite like firing up an old holiday movie favorite on your favorite viewing platform of choice. But just as every individual family unit inevitably develops their own unique set of holiday traditions over time, so too do our regular late-December viewing habits differ from person to person. The media each of us chooses to spend time with during these cozy winter days is specific to us, whether it be a longstanding seasonal classic, a TV show we’ve been meaning to catch up with, or just something weird that for whatever reason we always return to this time of year. 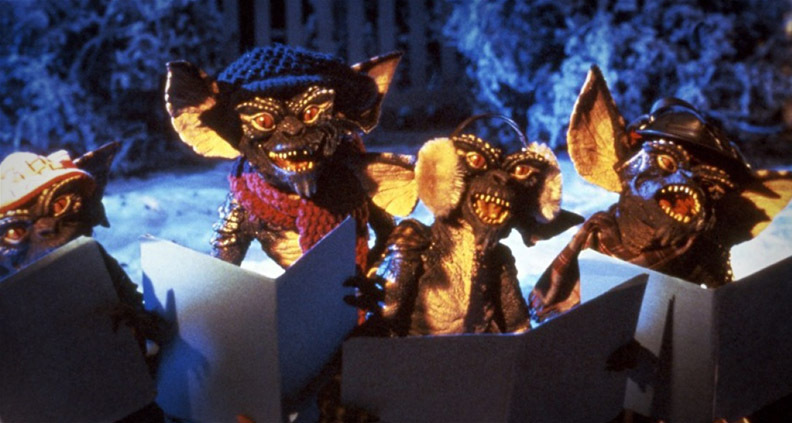 For this week’s holly-jolly Must-List, we asked our gingerbread-crazed Film Independent staffers to tell us which perennial holiday favorite that, for them, no late-December afternoon spent snuggled up on the couch would be complete without. So pour yourself another class of mulled wine and enjoy! 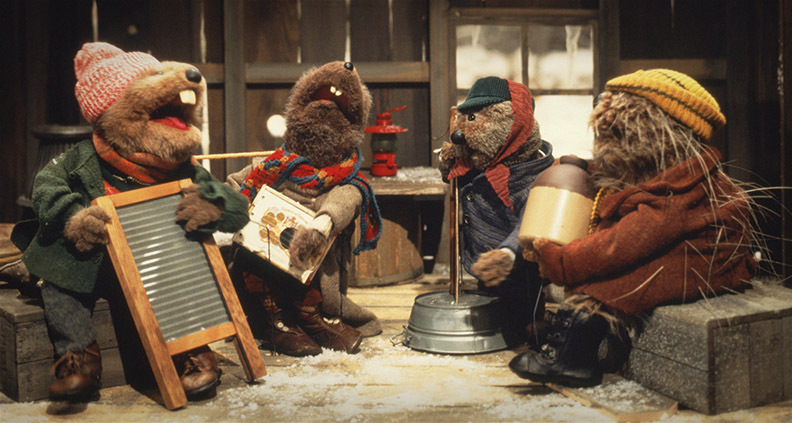 My favorite Christmas entertainment of all time is Emmet Otter’s Jug-Band Christmas, a 48-minute adaptation of the Russell Hoban children’s book that master puppeteer (muppeteer?) Jim Henson made for HBO way back in 1977—the wobbly VHS recording of which was a holiday regular in our family for literally as far back as I can remember. Shot on charmingly lo-fi video, the story follows titular otter Emmet as he attempts to give his sickly Ma the best Christmas ever, entering a battle of the bands in the anthropomorphized animal town of Frogtown Hollow to try and win enough prize money to buy the old woman (otter?) a new piano. But little does Emmet know, his mother has also entered the contest to try and win Emmet a new guitar. What follows is a surprisingly melancholy spin on “Gift of the Magi” shot through with a full stable of original songs by 1970s soft rock icon Paul Williams. And if Emmet Otter antagonists Riverbottom Nightmare Band (a heavy metal group fronted by a gravel-voiced snake) didn’t presage 1990s shock rockers Marilyn Manson and White Zombie, I’ll eat my (felt) hat. In 2013, The Atlantic published two articles by two warring reporters. The subject: is the 2003 Richard Curtis film Love Actually a modern-day Christmas classic, or not? Last weekend, SNL did a sketch parodying the film’s iconic “cue cards” scene, wherein a young Andrew Lincoln reveals his unrequited love to a gorgeous Keira Knightley. But that’s not the only iconic moment in Love Actually: Bill Nighy’s delightfully insouciant ageing rock star confessing his affection for his long-suffering manager; Liam Neeson being schooled in love by his young stepson; Colin Firth being followed by a parade of Portuguese-speaking family members as he goes to propose in charming broken Portuguese; and the heartbreak of Emma Thompson learning about her husband’s infidelity to Joni Mitchell’s “Both Sides Now”. The characters in each of the film’s nine stories intersect with each other’s lives in ways both significant and insignificant ways as they go through “the total agony of being in love” accompanied by an inspired soundtrack. It may not be the perfect film—Hugh Grant’s storyline is positively cheesy. But the film’s enduring appeal lies in how wonderfully and blithely it captures that almost-liquid Christmas spirit of love, generosity, good will and the delicious melancholy that that comes over all of us as we find ourselves heading into the last week of the year. Even the film’s credit sequence capturing families reuniting at airports is guaranteed to make you feel all warm and fuzzy inside. When I think of Christmas, I think fondly of the morning. Shafts of early morning sun through the blinds, a steaming mug of tea and Love Actually. My mom is the world’s biggest Sandra Bullock fan, so every Christmas she manages to get my entire family to watch While You Were Sleeping. The story follows Lucy, a lonely token collector at the Chicago subway station. While working on Christmas Day, she spots her unrequited crush, Peter Callaghan (Peter Gallagher), fall onto the train tracks after being mugged. Lucy saves his life from an approaching train, but the fall leaves Peter in a coma. When a nurse mistakenly tells the Callaghan family that Lucy is unconscious man’s fiancé, Lucy fails to correct her. She’s suddenly taken in as part of the Callaghan family, and what starts off as an honest misunderstanding turns into a complicated lie—which only gets worse when she starts to develop feelings for Peter’s brother, Jackm (Bill Pullman). This is a funny and sweet film all about finding people to spend the holidays with, and a great one to watch this time of year. 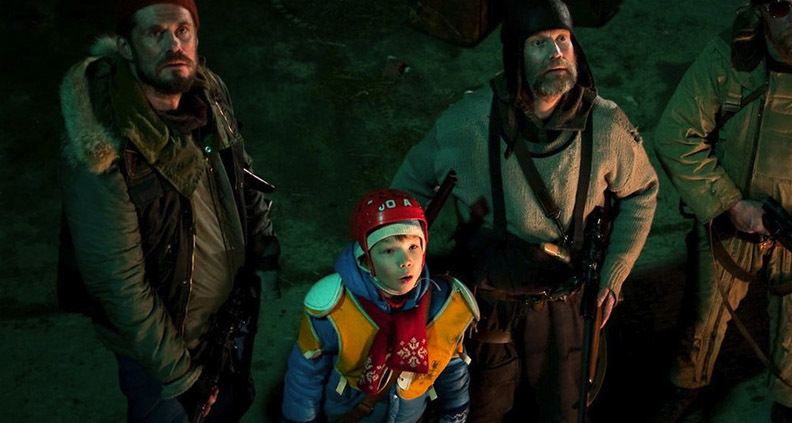 Tell us, what movie do you invariably revisit this time of year? Let us know in the comments, or share your picks with us on Facebook and Twitter.